Sometimes determining how to process your livestock can be tough. Learn the ins and outs of processing and find the option that’s right for you. Harvesting the crop is payback for all the planning, work, time, money and hope a grower has invested in production. For producers of livestock and poultry meat, the “harvest” begins at slaughter. Whether you take your animals to a processor, do it yourself or have a mobile processor visit your farm, the production cycle ends at this point. Which of these options you choose depends on your intentions for the meat or poultry you have so painstakingly cared for. Growers, who raise livestock, poultry or rabbits for their own consumption and have no intention of selling or giving it away, can slaughter, package, freeze, can, cure, dehydrate and eat, for the most part, whatever they raise with little or no oversight. Of course, good sanitation procedures, animal welfare considerations and waste disposal concerns should be addressed before beginning—but these topics are beyond the scope of this article. This information is for those who are interested in hiring a professional meat processor for slaughtering livestock and poultry. The first step is to decide what to do with the processed meat or meat products. There are basically two choices: consume it yourself (hopefully with the help of your family) or sell it. There are state and federal laws governing sales of food, particularly meat and poultry. Federally, the U.S. Department of Agriculture is responsible for regulating meat and poultry inspection, labeling and interstate commerce. At the state level, responsibility typically falls within the State Department of Agriculture and the State Health Department. On a local level, the County or District Health department will have regulations, rules or health codes that must be followed. If you intend to sell any or all of the meat you’re producing, plan to spend some time researching your state and local regulations. If you’re planning to sell across state lines, either by delivery or by shipping, you’ll need to follow federal regulations as well. Before you can choose a processor, determine how and where you plan to sell the meat or poultry. Approximately half of the states have a state-inspection system in place. This program allows farmers to use participating slaughter facilities and sell the meat or poultry within state lines. A state-inspection system must be verified to be “at least equal to” the regulations and guidelines of the federal system. Typically, I fall within that group of individuals who feels it’s better to ask for forgiveness later than to beg for permission first. But when it comes to selling our meat and poultry, I have all my ducks in a row (literally and figuratively). When we first decided to raise enough pigs to have pork to sell at our local farmers’ market, I started attending the market meetings in January to ask about selling meat. No one had ever sold meat there before and the group told me that if I followed all the regulations, I was welcome to sell whatever I raised. Oh and by the way, I had to figure out what the regulations were. My first call was to the Kentucky State Department of Agriculture; they said that each farmers’ market made their own rules, but referred me to Kentucky’s Department of Public Health, which referred me to our county’s health department. Finally I talked to the local inspector responsible for food safety; she said she would need to talk to her supervisors at the state office and get back with me. After a couple of days, she called back and told me that from what she could gather, all I needed to do was get a Retail Food Establishment permit ($29 annually) and keep a thermometer in my freezer at all times. When I’m at the farmers’ market, I have to keep the freezer below 0 degrees F and have some type of covering over it. I also must have my meat processed under inspection. Fortunately I was prepared. I already had an inverter installed in my truck attached to the battery. I bought a good thermometer from a restaurant supply store and I already owned a pop-up tent. I simply loaded a freezer onto a flat-bed trailer, plugged it into my inverter and put the tent over the top of it at the market. Producers from out-of-state can have animals slaughtered at these plants as well, but they cannot sell the meat when they return to their home statel; this meat is for personal consumption only. Another type of processor is one who slaughters as “Custom” or “Custom Exempt.” In general, a Custom Exempt meat processor is defined by state and federal law as a processor that does not require continuous inspection because they only process meat for the owner of the animal and the product is for use only by members of their household or non-paying guests. Custom processors are still inspected—though not as often—and are required to follow sanitary procedures and some of the labeling and storage requirements set forth by the USDA. Livestock producers who sell animals on the hoof by the pound can use Custom Exempt processors. The customer purchases the animal from the farmer for an agreed-upon price per pound of live weight. Typically the farmer delivers the animal to the slaughter facility and the customer pays for the processing, chooses how the animal is cut up and picks up the meat at the plant. With this method, the customer actually owns the animal before it is slaughtered, thus avoiding local, state and federal regulations involving selling meat. Customers who want to purchase half a hog or a quarter of beef can do so more economically than purchasing each cut by the pound. It’s the farmer’s responsibility to contact the two or four customers (depending on the animal) to let them know when their portion of the animal will be ready. Usually each type of cut is divided equally among the customers, though customers might be willing to trade out cuts with others who have a preference for a specific cut. The advantage for the farmer is that all the meat is sold at once and there are no concerns about transporting, storing or marketing individual cuts of meat. Another advantage is that you’re not left with pounds and pounds of hamburger or sausage after all the premium cuts like steaks and pork chops have been sold. The disadvantage is that selling by live weight may not be as profitable as marketing individual cuts to your customer. Meat and poultry processed under federal inspection carry the USDA Seal of Approval. The U.S. Department of Agriculture Food Safety Inspection Service (FSIS) is responsible for inspecting the slaughter process, not necessarily insuring the product itself. Inspectors will not let animals or poultry that have signs of disease or contamination pass, but they cannot detect bacteria or other contaminants that are invisible to the naked eye. A USDA-inspected processing plant meets very specific sanitation and record-keeping requirements. A formal program to ensure food safety and sanitation procedures is created for each facility. This plan is known as a Hazard Analysis and Critical Control Point plan (HACCP). To legally ship meat or poultry across state lines, it must have been processed under USDA inspection. Many grocers and restaurants prefer to sell or use meat that has been processed under USDA inspection. It’s important to remember that USDA inspection does not protect you against legal action. If someone gets sick from a meat product you sold them, being able to show that it was processed under USDA inspection and that the HACCP plan was followed will go a long way to show that as much as possible was done to protect the integrity of the product. However, it’s always a good idea to have product liability insurance as well. Ultimately, inspection systems and the HACCP plan protect the slaughter facility. As the farmer/transporter/marketer, you’re responsible after the product leaves the processing plant. Much of the time, larger livestock is frozen after it’s cut and picked up either packaged in butcher’s paper or vacuum-sealed plastic. The first year we decided to raise enough extra pigs to sell pork, we kept six pigs out of the litter. There are several USDA-inspected processors within driving distance, so I wanted to shop around. We had used the closest processor the previous year for the two pigs we slaughtered for our family. They did a fine job with processing, but I was not happy with their customer service, so I wanted to try some others. We next took two pigs to our state land-grant university meats lab that’s also USDA-inspected. They did an excellent job and actually had the best seasoning for sausage of all we tried, but we had a difficult time selling meat that was labeled as processed at the University of Kentucky Meat Research Lab. The final processor we used is the one we’re still using; they follow cutting directions, package in vacuum-sealed bags and are very easy to work with. Poultry often leaves the processing plant fresh, not frozen, because there’s typically no “hanging” or aging period for poultry. 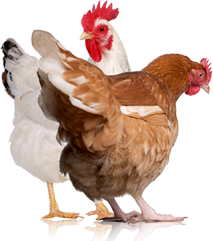 Poultry is often sold and consumed much more quickly after processing than beef, lamb or pork. Transporting processed meat or poultry is not complicated—unless there is a lot of it. Meat from a few lambs will fit into two or three coolers in the trunk of a car. Transporting 100 processed broilers or a whole cow will require more space, perhaps several coolers or a large refrigerator or freezer. Some farmers pull a trailer with a freezer powered by a generator to haul larger quantities of meat. Others connect a power inverter into their truck’s power system and plug a freezer directly into the inverter. An electrical power inverter is a circuit that converts direct current (DC) from a battery to alternating current (AC) like you use in your home. The important thing to remember is that the meat needs to stay cold. If it’s frozen, then it needs to stay frozen. Using ice on chilled meat or poultry works for moderately short trips. If your travel time is longer or if you experience unexpected delays, be sure to keep an eye on your meat and add ice if necessary. It’s a good idea to have a thermometer in your freezer or coolers so you know exactly what the temperature is at all times. Selling meat or poultry at a farm stand or farmers’ market requires the same diligence as transporting it home. Most farmers’ markets have regulations concerning selling meat or poultry; be sure to check with the market manager for their guidelines. It’s also a good idea to educate your customers about handling the meat and monitoring the temperature during transport. Whether they’re picking up the meat at the processor or buying a chicken and a few steaks at the farmers’ market, they need to get the meat into their refrigerator or freezer as soon as possible and not “run a few errands” before going home. Animal welfare, or taking into consideration the safety and well-being of your livestock during transport, can make a large difference in the profitability of your venture. Countless carefully raised broiler chickens have been damaged by inexperienced growers cramming them into carriers or coops in a hurry to get them loaded and to slaughter. Larger livestock can bruise or become injured if the trailer they’re hauled in isn’t right for the job. Chasing, striking and overcrowding livestock can damage the meat. Research has shown that humanely handling animals during the last few hours of their lives has a positive effect on meat quality and therefore can enhance profitability. Slaughter facilities should be willing to provide you with information ahead of time about water and feed withdrawal, handling and transporting livestock and poultry. In fact, some poultry plants have specific time requirements for feed withdrawal. They will not process poultry with feed still in the crop or upper digestive tract. Also, if you happen to feed any antibiotics or need to use antibiotics or other restricted medications in your livestock or poultry, be sure to follow label or veterinarian guidelines for withdrawal time before slaughter. If you’re fortunate enough to have multiple processors within reasonable driving distance from your farm, then you have the opportunity to shop around. Pricing is often a major concern and comparing fees among processors can help you determine the best choice. Processing under USDA inspection is often an additional cost. Poultry processors charge extra for “cut-ups” versus whole birds. Meat processors might charge more for flavoring sausage or making patties versus links. Beef processors may be willing to age your beef for a few days at an extra cost. Lamb and goat processors may have additional fees for offal/wool disposal. Some processors may not have the capability to cure or smoke bacon and ham. Researching your options well before your animals are ready to go to slaughter will help you avoid unexpected additional fees. 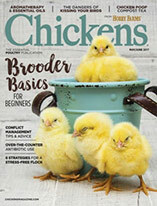 Prices for processing whole chickens vary from $1.25 to $3 or more; expect higher prices for cut-ups. Rabbit processing runs between $2 and $3 per animal. Turkey processing ranges from $5 to $12 or more per bird. If you can find a plant that will process waterfowl, the price can range from $5 to $12 per bird. Processors that slaughter large livestock like cattle, pigs, sheep and goats charge a “kill” or slaughter fee. This can range from $18 per animal for sheep or hogs to $40 or more for larger hogs or cattle. Additionally, processing fees are charged per pound of dressed weight and range from $.30 per pound to $.45 per pound for hogs, sheep and cattle. As mentioned earlier, additional fees may be charged for further processing, boning, smoking, curing and aging. Reserving your slaughter date well in advance is also recommended. In the Midwest, many small slaughter facilities are heavily booked during June, July and August due to market livestock from fairs and shows. Deer season is also usually a very busy time for processors. Trying to get chickens or turkeys slaughtered at the end of November is nearly impossible without an appointment made well in advance. In many parts of the country, sheep and goat slaughter increases around Easter or other religious holidays. Mobile slaughter/processing units (MPU) for poultry or livestock are available in several locations around the United States. Many of the units were developed by farmers or groups of farmers who were frustrated with the lack of processing facilities nearby. Most of these mobile units fall under a state inspection program, though some are USDA-inspected. By building a processing unit small enough to be transported, the obvious limitation is volume. Often the reason these farmers need a mobile unit is because they have small numbers of cattle, pigs, lambs or poultry and have difficulty justifying transportation costs to faraway processing plants. Availability of poultry processing facilities has been a barrier to small-farm broiler rearing in many areas of the country. Groups in states including Kentucky, New York, Washington and others have developed mobile poultry processing trailers that vary in complexity from attaching kill cones, a plucker, a scalder and stainless steel tables to an open trailer to a completely enclosed, health department-inspected facility. Groups who have developed MPU’s usually do so with the assistance of universities, state government, farmer-led cooperatives, nonprofit organizations such as Heifer International or combinations of all of these groups. The cost of construction can vary from a few thousand dollars to hundreds of thousands depending on the design. Generally, a small fee is charged per animal to offset the operational cost of the unit; occasionally a cleanup fee or transportation fee is charged as well. Some units may require the farmer to have product liability insurance or other insurance before use. If you’re farming in an area that’s serviced by a mobile processing unit, this may be a viable alternative. Be aware that many of these units are relatively inexpensive to use because they expect the farmer to actually process the livestock or poultry themselves. Some training or certification is typically required—often for a fee—and you may be asked to bring additional workers with you to assist with the various stages of slaughtering, packaging and cleanup. For some farmers, it doesn’t take much time working in a MPU to appreciate the convenience of using a professional meat processor to slaughter, cut, package and label your livestock or poultry. Others really enjoy the opportunity to get their hands dirty and become active participants in the entire process of growing, slaughtering and marketing or consuming their livestock. As we’ve discussed, choosing which processor to use for your poultry, rabbits or livestock can depend on several factors. Your choice can be determined by travel distance, cost, whether or not the processor can vacuum seal your meat, or simply by their customer service. Sometimes there is only one choice. University Cooperative Extension offices, your state’s department of agriculture, farmers’ markets and other farmers can help you locate processors in your area. Several state departments of agriculture have lists of processors on their websites with contact information and whether they are state or federally inspected. A Web search will turn up processors who are innovative enough to advertise that way. If you know other farmers who process livestock, ask for recommendations. I’ve found that often the best advice and most reliable information comes from others who are successfully doing what you would like to do. 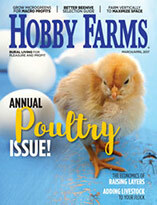 This article first appeared in the Jan/Feb 2008 issue of Hobby Farms magazine. Pick up a copy at your local newsstand or tack and feed store. Click Here to subscribe to HF. Matt John raises poultry, goats, pigs and sheep on his Shady Lane Poultry Farm near Winchester, Ky. Matt has a Master of Science degree in Agriculture from Western Kentucky University.